Tough little man, so quick and strong . . . Intense competitor . . . Excellent fast-break middleman . . . Pair of quickest hands in league . . . 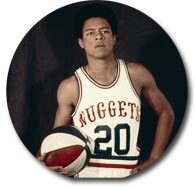 Became team leader in LA Stars' meteoric rise during last half of 1969-70 season . 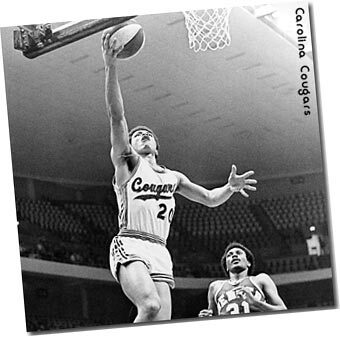 . . First-team all-star selection in 1970-71 season with Floridians - put the ball up more and finished fourth in league in scoring with 27.2 ppg average . 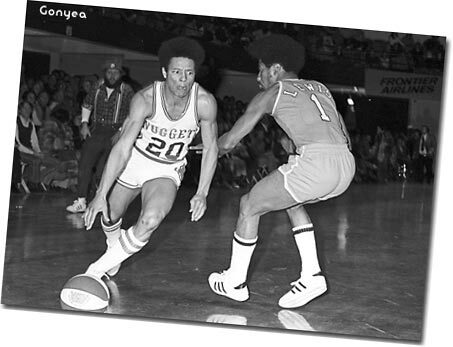 . . Also finished second in assists in 1970-71 with 7.6 per game . . . Calvin carries three-year scoring average of 21.5. 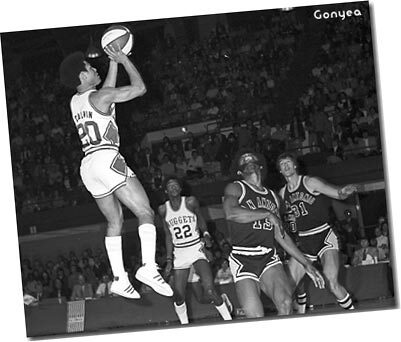 In	1971-72	season	he averaged 21.1 points and 5.9 assists for Floridians, whose franchise was folded at end of year. 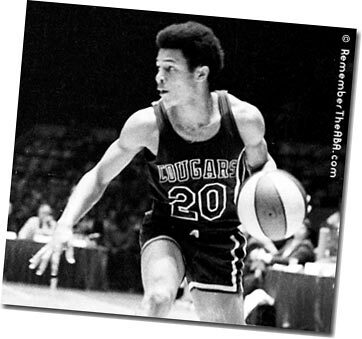 . . "I'm looking forward to the new surroundings," commented Calvin when he learned that Cougars got him in special intra-league draft . . . Waterbug type guard should go well with Cunningham and Caldwell in fastbreak game of Larry Brown . . . No one moves across floor any faster than Mack the Knife . . . "I try to use my assets - speed and quickness - against the taller players," says Calvin. "I also try to outthink them. I try to get in position before my opponents make their moves." . . . Lou Carnesecca, coach of Nets, on Calvin: "He has unbelievable quickness in getting free for a shot. You wouldn't believe how much he's improved since his college days." . . . "He runs so damn much and he's such a good opportunist," said Bill Melchionni of Nets. "He makes the most of what he has." . . . Bob Boyd, his college coach at USC, says, "There's no limit to what Mack can do. He is a champion. His attitude, his manner are absorbed by the entire team."